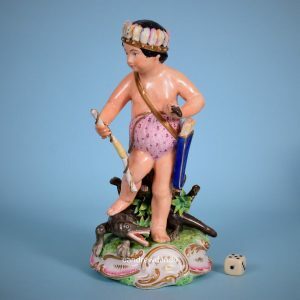 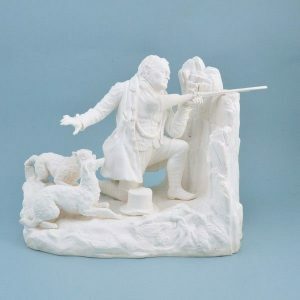 Derby Porcelain Figure of America. 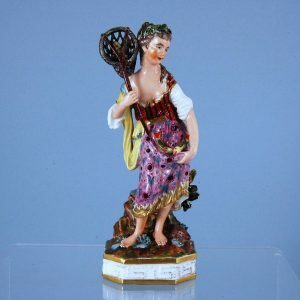 Bloor Derby Figure of a Girl Tatting. 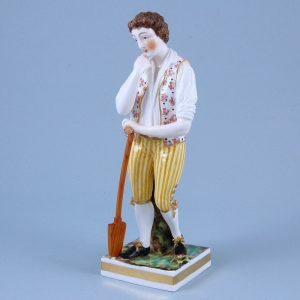 Derby (King Street) Figure of a Gardener. 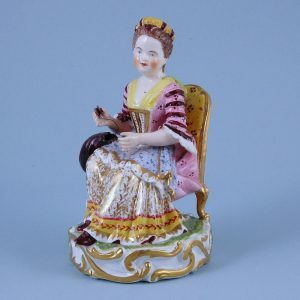 Derby Figure of a Girl Emblematic of Water. 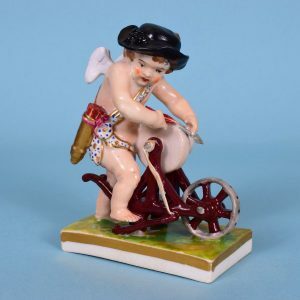 Derby Porcelain Figure of Cupid Sharpening Arrows. 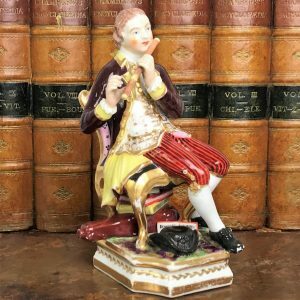 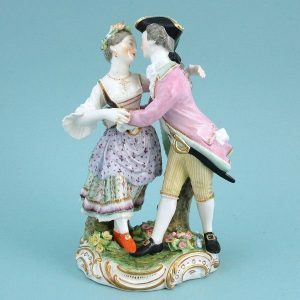 Derby Porcelain Figure of a Flautist. 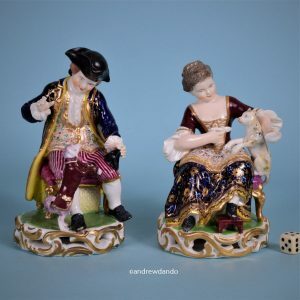 Pair of Derby Seated Figures with Cat & Dog. 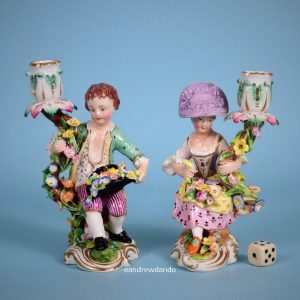 Unusual Bloor Derby Group of Dancers. 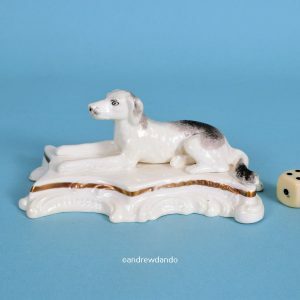 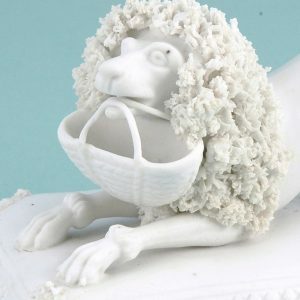 Worcester Biscuit Porcelain Model of a Poodle. 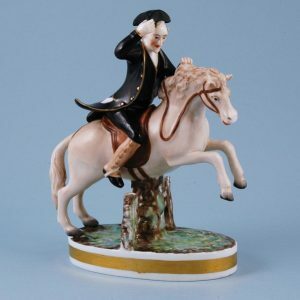 Derby Porcelain Figure of Dr Syntax Riding. 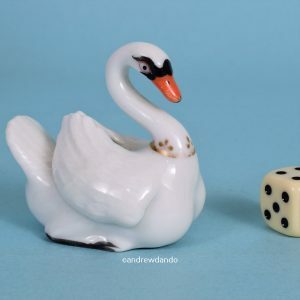 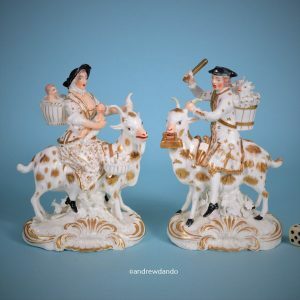 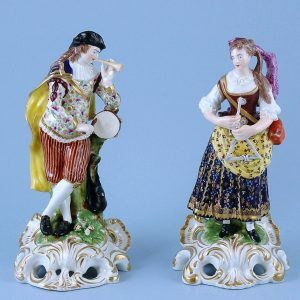 Pair of Derby Porcelain Musician Figures.